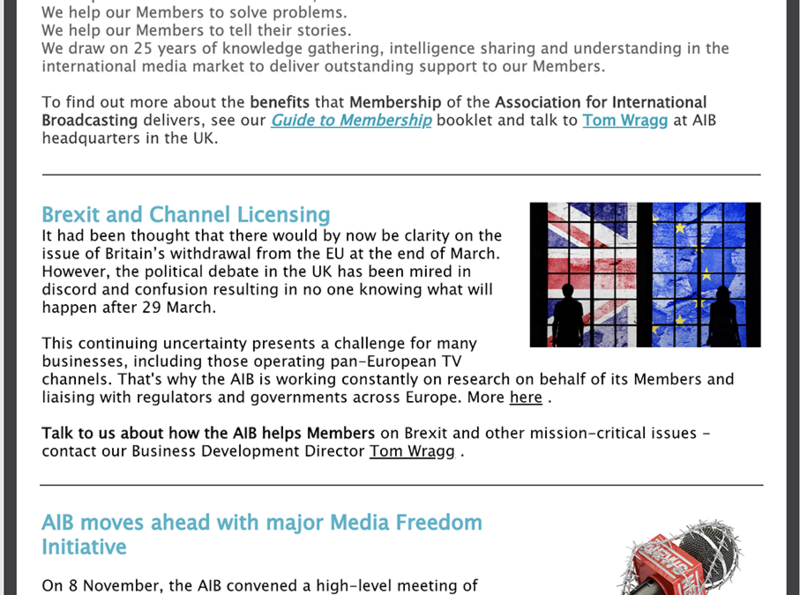 The AIB publishes regular news briefings covering activities of our Member companies around the world and reporting on the Association for International Broadcasting’s activities. The January 2019 industry briefing has now been published with updates on the AIB’s work on media freedom and sustainability, plus news from a range of our Member organisations. The AIB industry briefing reaches more than 27,000 people involved in all aspects of media across the globe, from producers and editors to regulators and parliamentarians. Subscribe to have the monthly briefing delivered to your inbox using the form below.